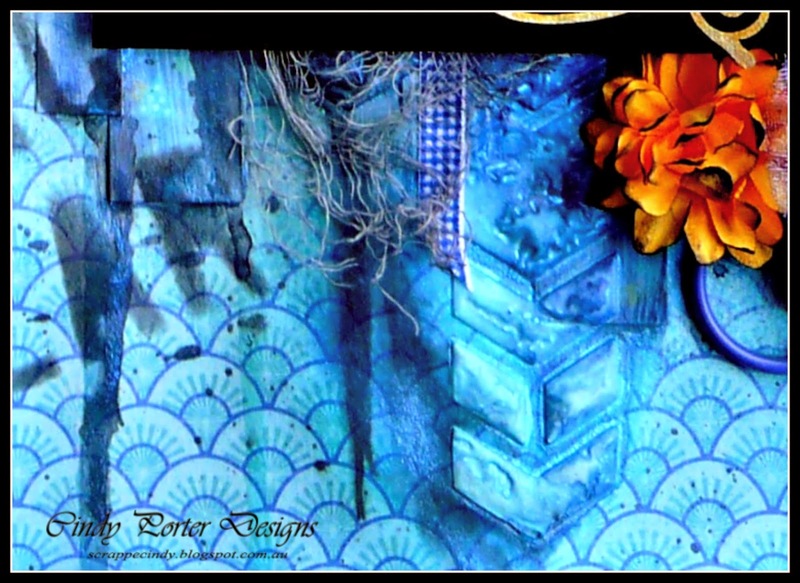 Today it's my turn today over on the Scrap FX blog and I'd like to share a step by step tutorial I created Layering Stencils to create your page background. 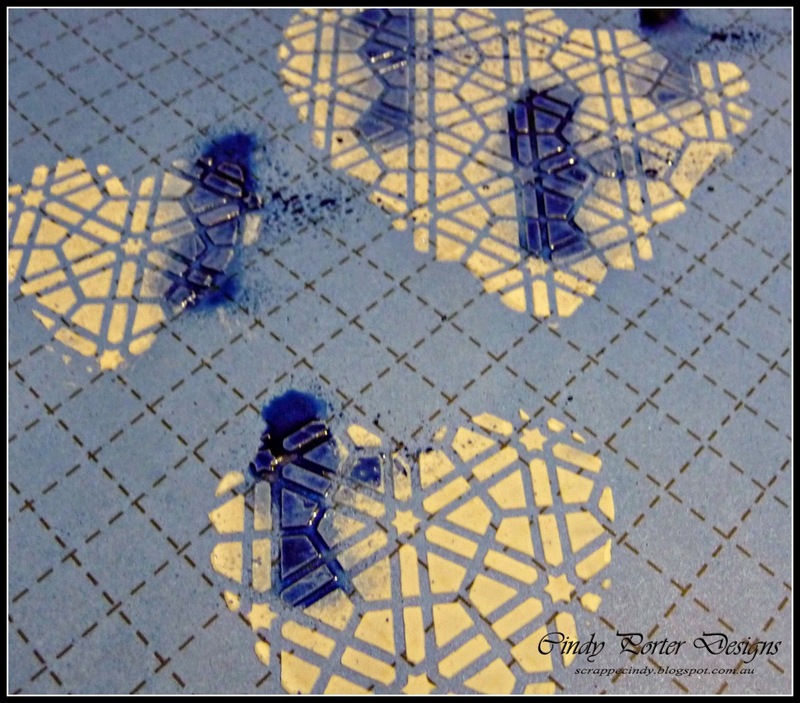 Step 1: To begin you will need two stencils. 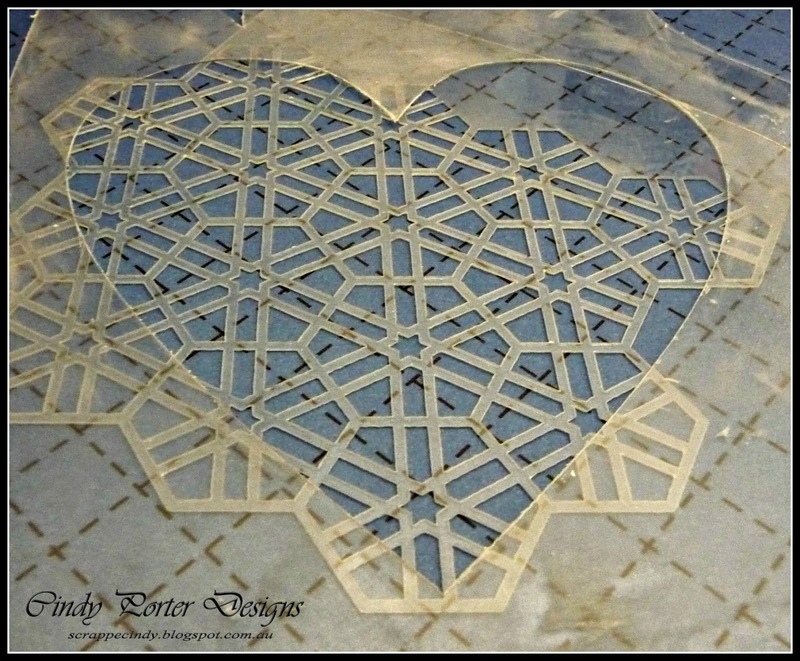 Choose a small patterned stencil I chose the Scrap FX Hexagon Pattern Stencil and a wide open shaped stencil, I chose the Scrap FX Heart Stencil. 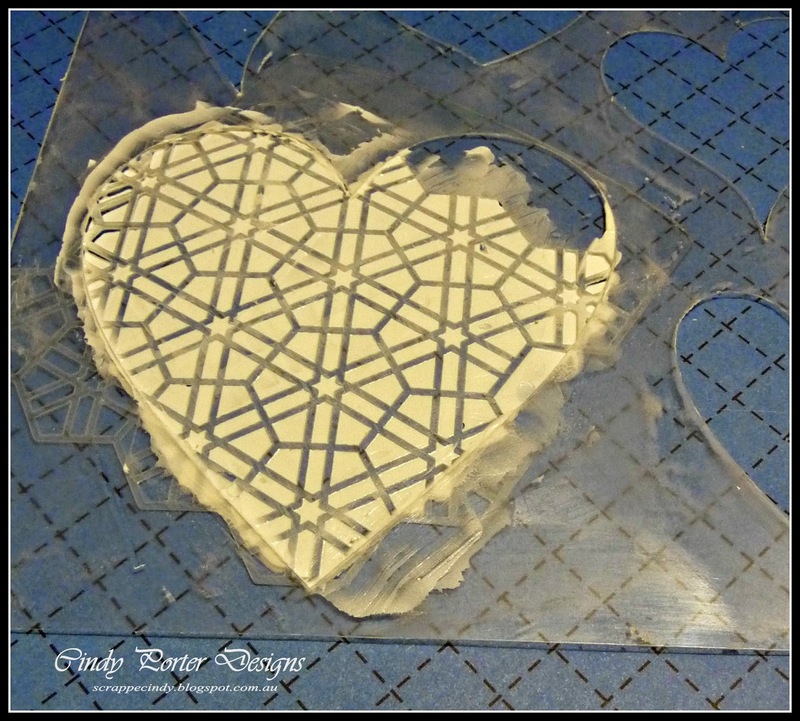 Step 2: using modelling paste (or your chosen medium, as this technique will work with texture paste, gel medium, impasto and many other mediums) and carefully fill in the stencil shape, you will need to be a little careful so as not to push paste under the top stencil and loose your shape. 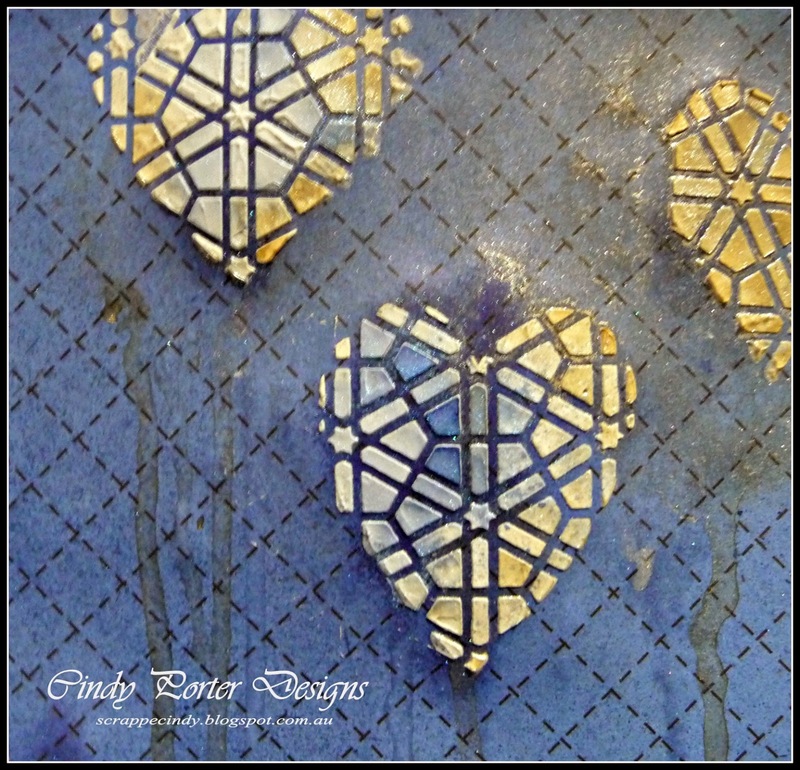 Step 3: carefully remove the stencils one at a time and then repeat steps 1-3 to decorate your background. Step 6: use Gelatos to give depth and shadow to your hearts, remember to put dark on the same side of all hearts and light on the opposing side to give highlights and shadows. Step 9: Now that our background is complete it's time to finish off our layout... 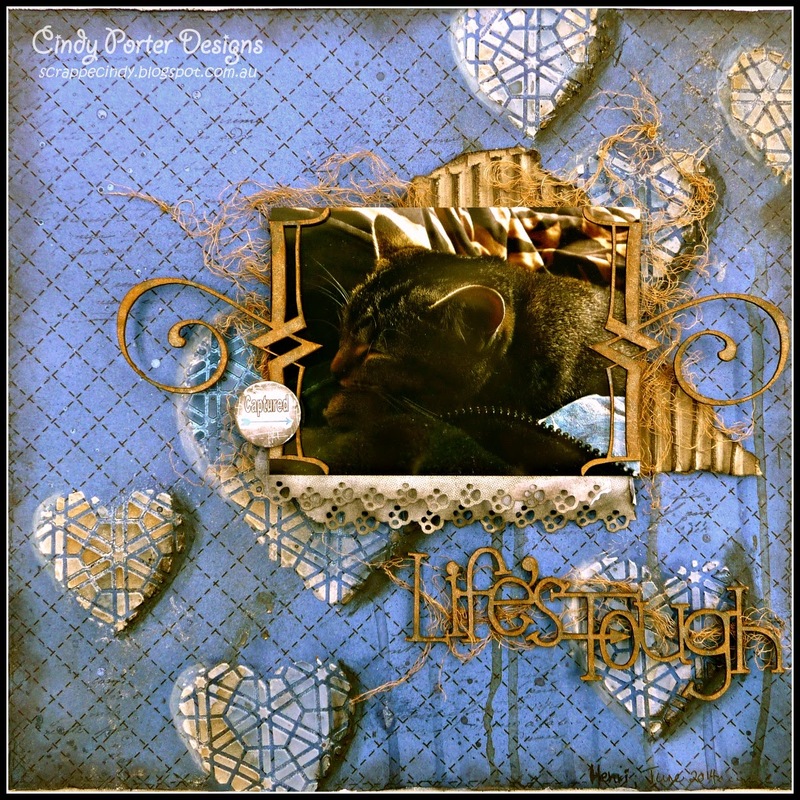 I used the Moonshadow mist to colour the Scrap FX title and embellishments. and to finish off I used a flair that I applied a little gesso to the edges so I could ink it up as it was too white for my layout... and here it is.. 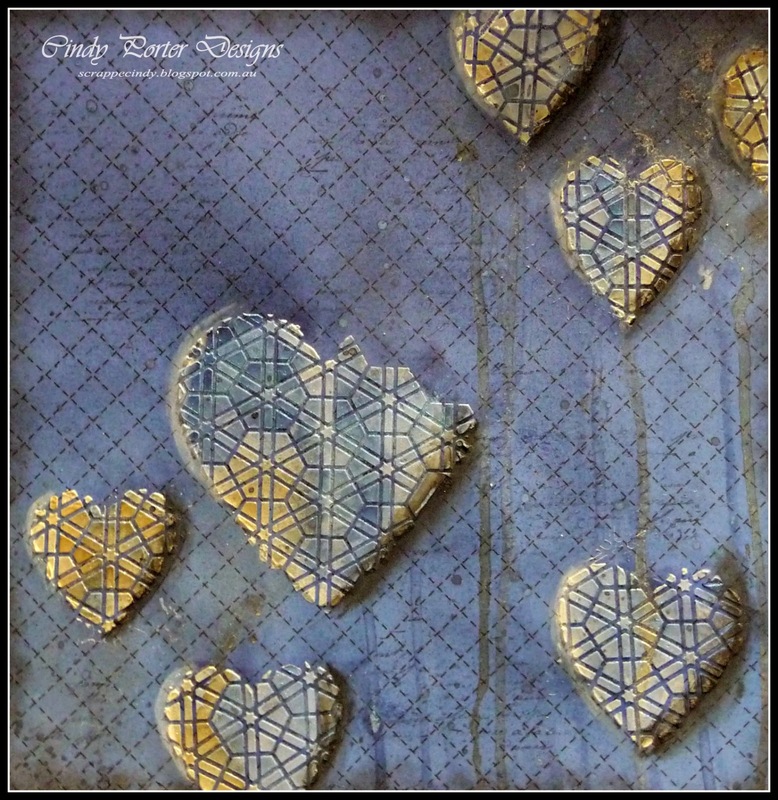 I hope you enjoyed this tutorial and that you will give layering of the Scrap FX stencils a try. 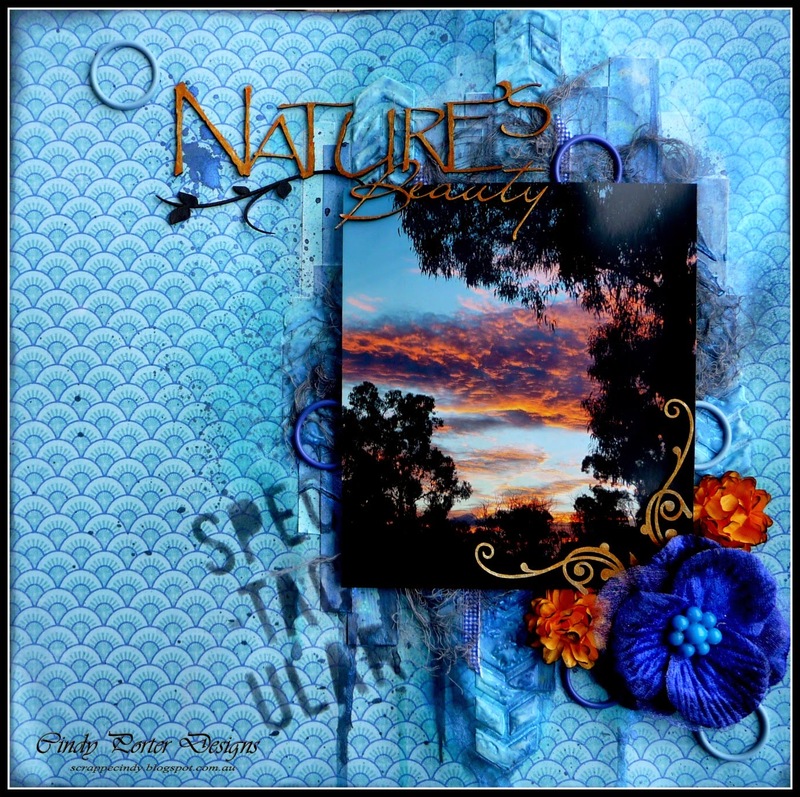 It is my turn over on the Scrapbookit Blog again today and I'd like to share with you the latest layout I created "Nature's Beauty". The photo was taken at my recent retreat, such a beautiful serene place. I used papers from the Echo Park paper range "walking on sunshine", I used Fancy Fish along with strips from, Sailboats, Direction Arrows and Oceanfront Views. 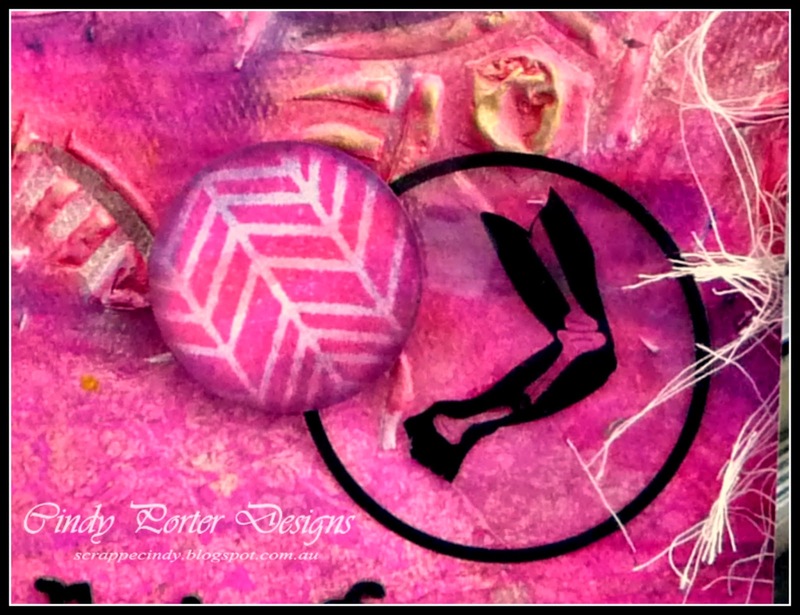 I created this layout to play along with the current challenge, using the mood board and a stencil. For this layout I chose the blues and oranges from the mood board to work with and I actually used two stencils, the Chevron Stencil for the background, and a little word stencil. 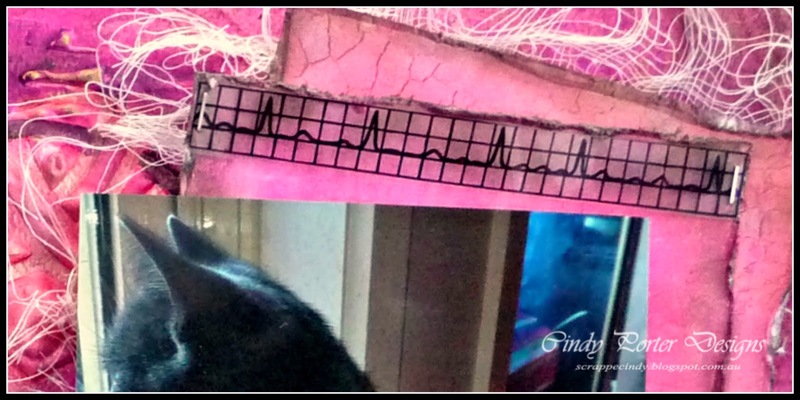 A close up of the background detail; showing the texture created by the Chevron Stencil, the strips of the other papers and also the thin check ribbon (Sullivans) I added (you need to look closely to see it). You can also see the Lindy's Stamp Gang sprays that I used to colour and drip on the background. 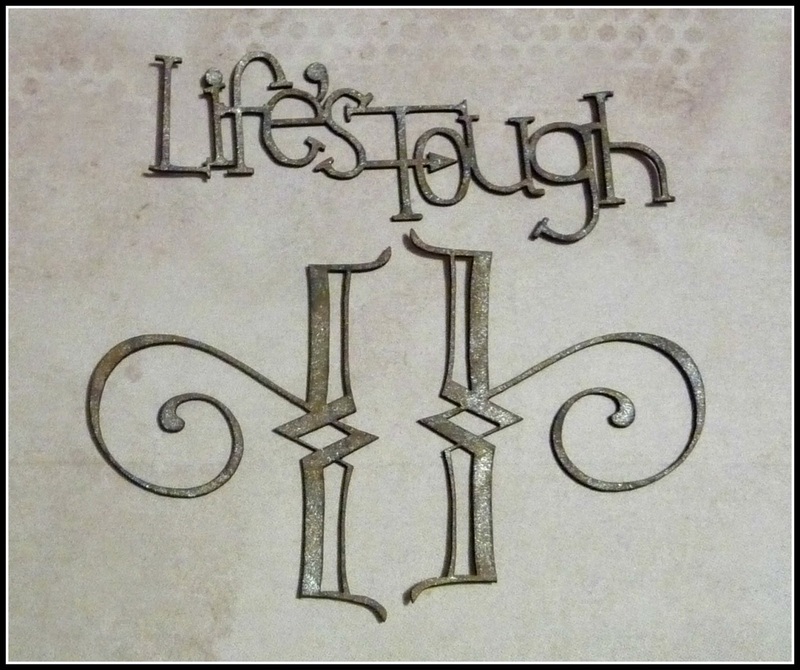 A close up of the word stencil that Jo sent in my kit, inked at the edge of the photo. 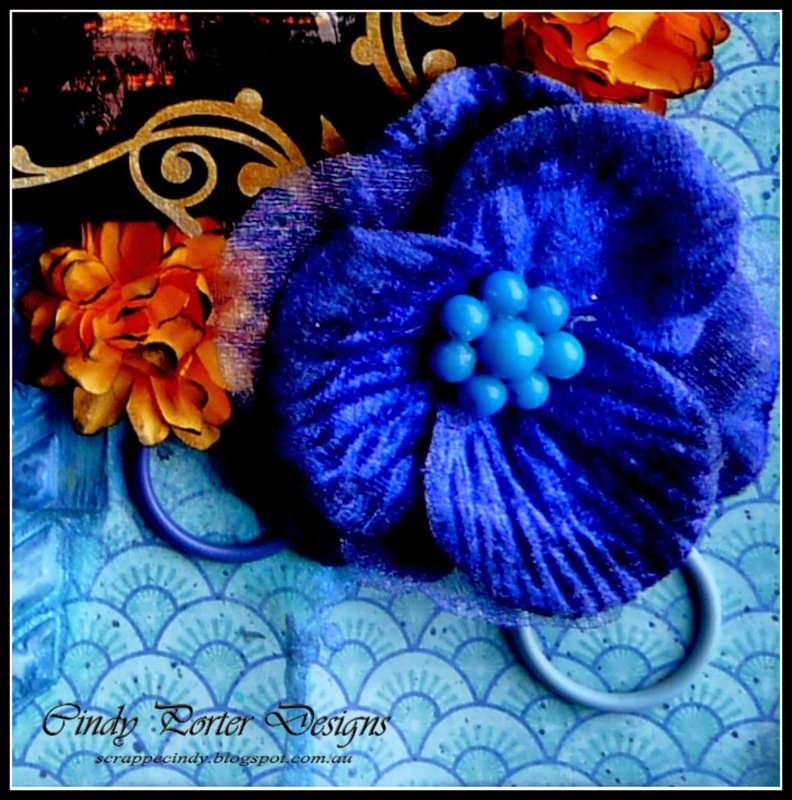 I removed the yellow and black centre from a Manor House flower and created my own blue centre with some Ribtex beads, I also used some of the cheap paper flowers to created a couple of 3d flowers . 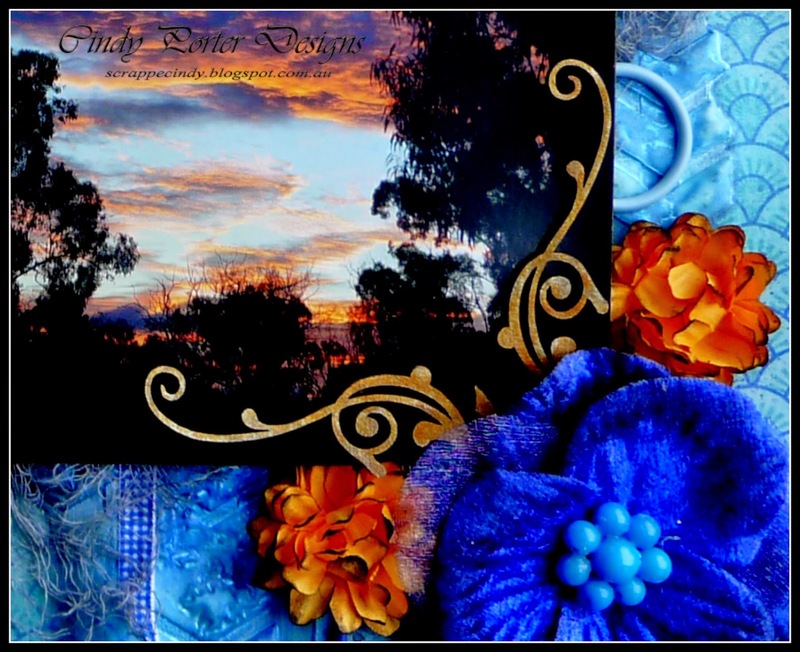 For my title I used the Scrap FX Nature's Beauty. 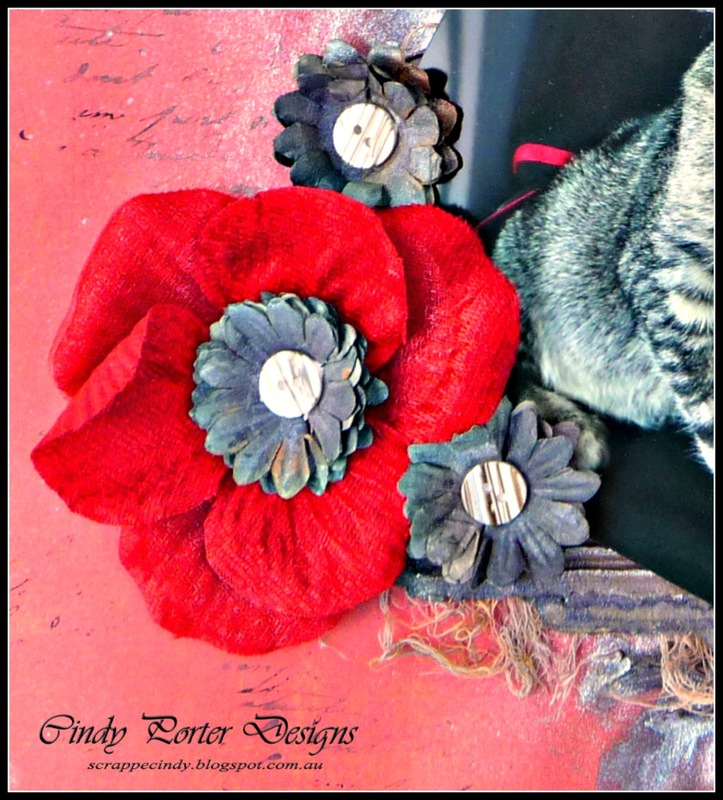 I used some open circle grommets in shades of blue to further texturize the layout. These are an older product, but give such a great look and can be so versatile, get yours from Jo while they last. For a little extra detail I added a Scrap FX flourish Doodad G, which I had cut in half and put on the corner of my photo. 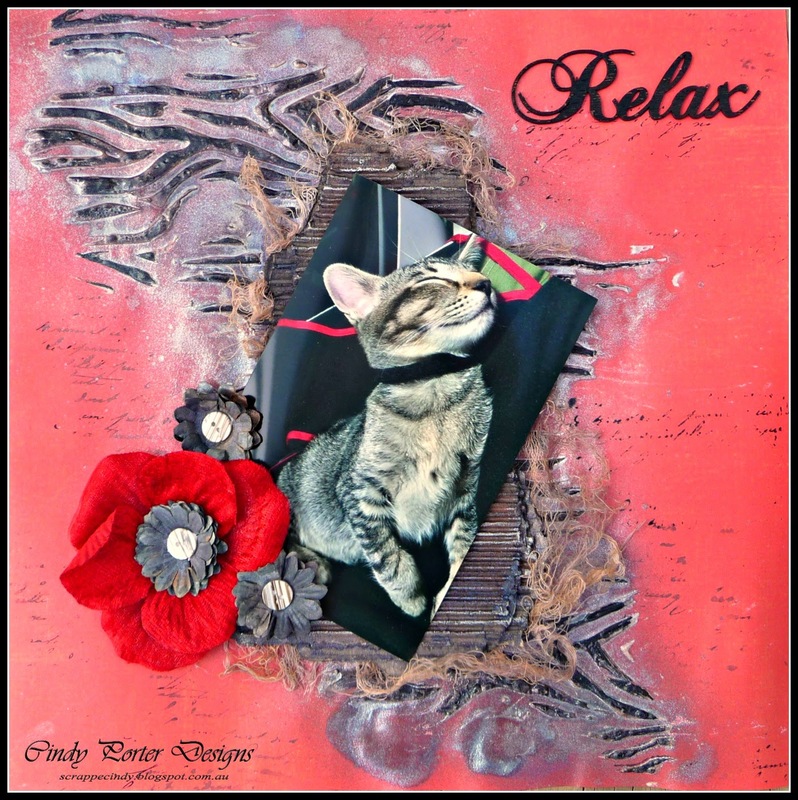 I hope that I have given you some more ideas on how to use this mood board, and that you will come and join in the fun over on the Scrapbookit Blog and who knows maybe even win yourself a prize. 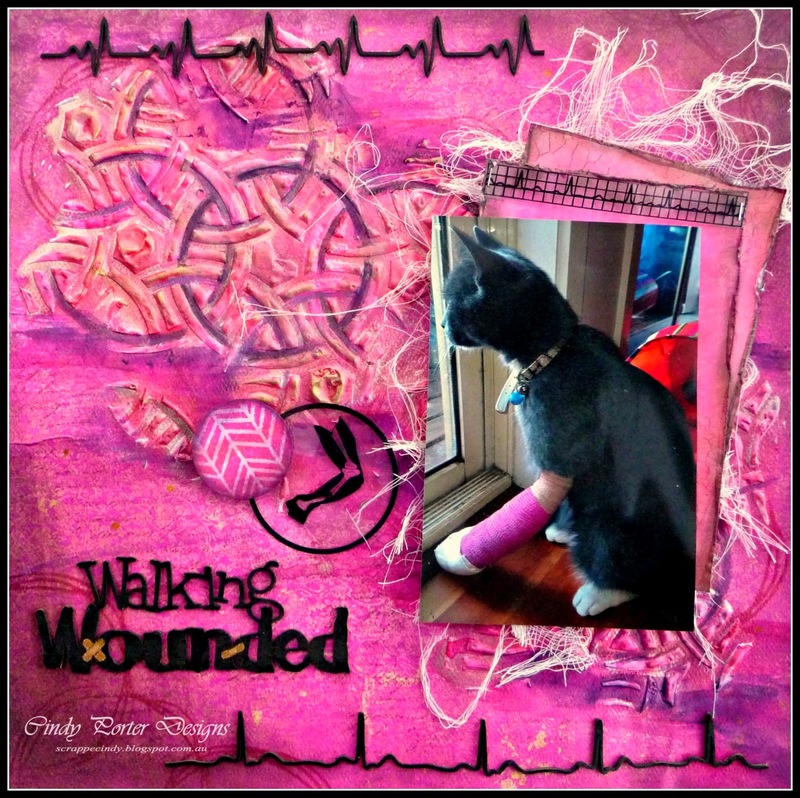 Today I'd like to share with you a layout I created with some of the new Scrap FX releases "Walking Wounded"
This is my poor furbaby Cleopatra, she recently broke three toes and had to be confined to staying indoors for eight very long weeks while they healed. 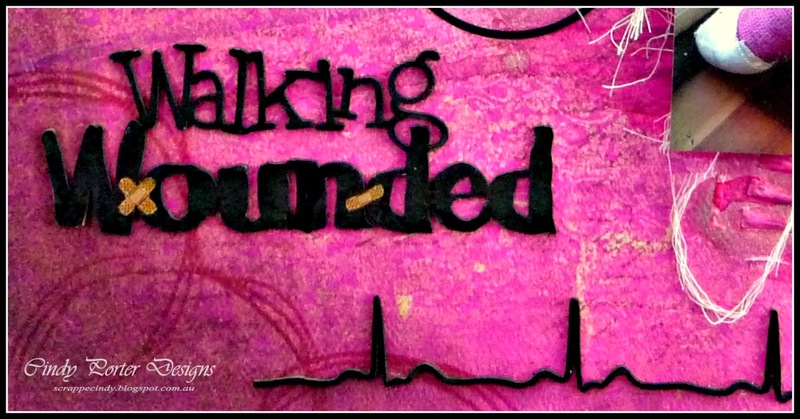 I loved the new title Walking Wounded, so appropriate for Cleopatra during her confinement. 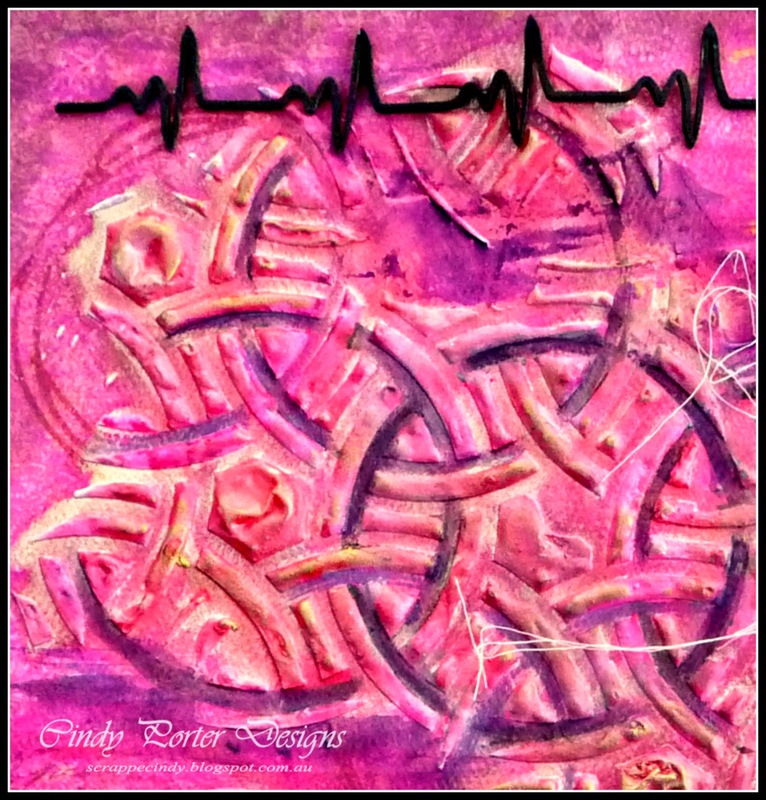 On the background in the corners I used the Scribble Circle Stamp and I used the one of the Heartbeat Borders along the bottom of the page. 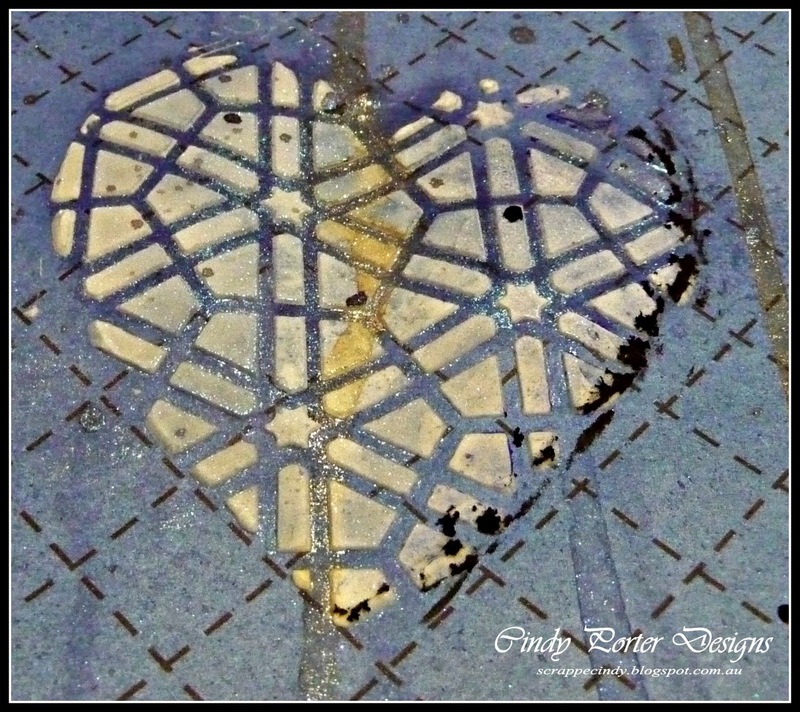 A raised stamped image using the Chevron Spot Stamp was used to cluster with the transparency image. Here I used another of the images from the Medical Transparency, there is so much on these A4 sheets. Well, Cleopatra is finally free from the bandages and confinement and her toes have healed and she is very happy to be allowed to play out in the garden once again. 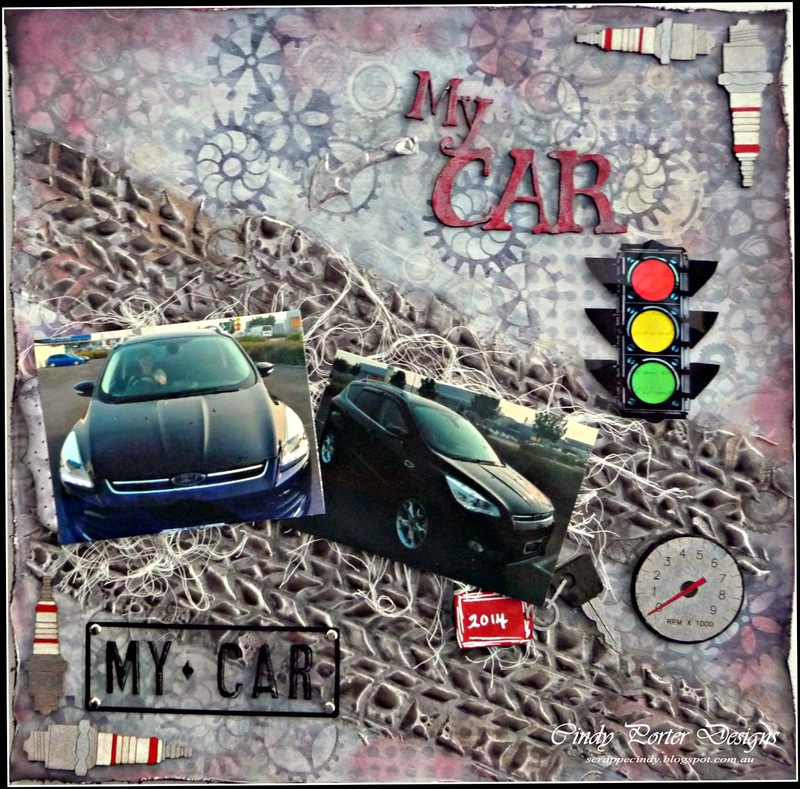 Today is my turn over on the Scrap FX blog and I'd like to share with you a layout I created with some of the new releases "My Car"
I used the new Gear Stamps (which I cut into individual stamps for more variation of use) on my background, these are a great set of four gears. 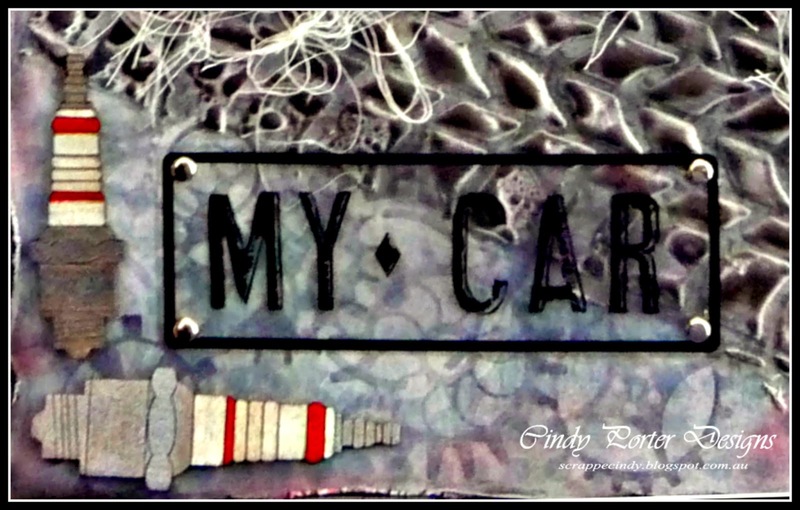 I cut out the 1st from the My 1st Car to create my title, and used the Spark Plugs chippies to create a corner. 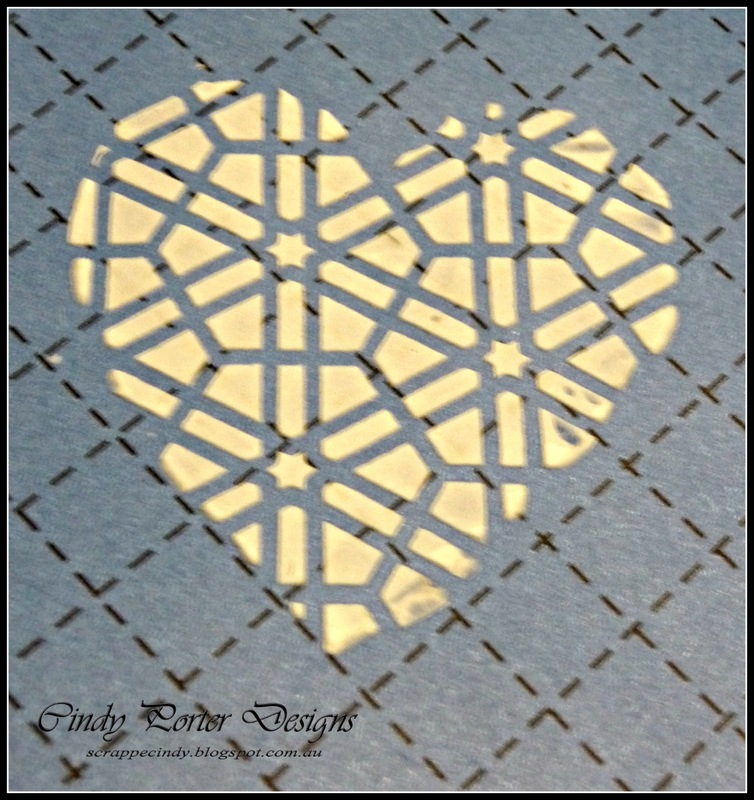 I also used the Arrows Stencil, large with some modelling paste to create a textured arrow. Here I used the My Car from the Car Transparency sheet, a great A4 printed transparency with all things automotive.....in the corner I used the the rest of the Spark Plugs pack. 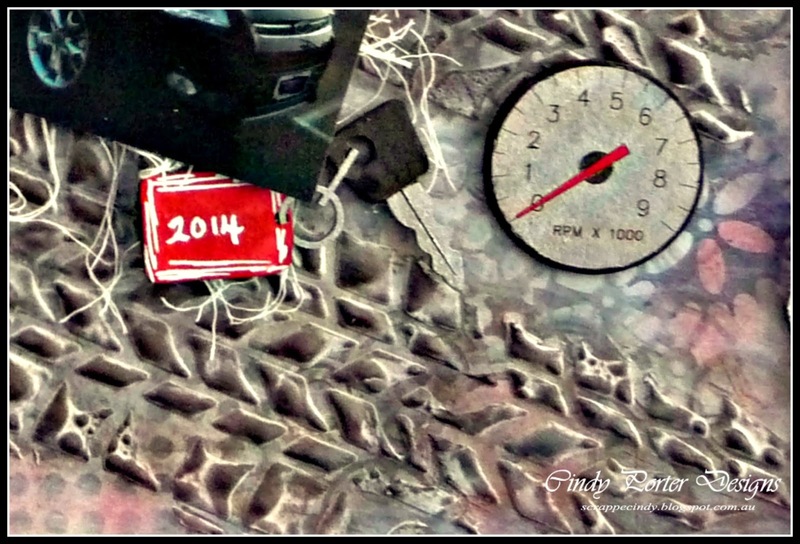 It is my turn over on the Scrapbookit Blog, and Jo has asked me to set this month's challenge. 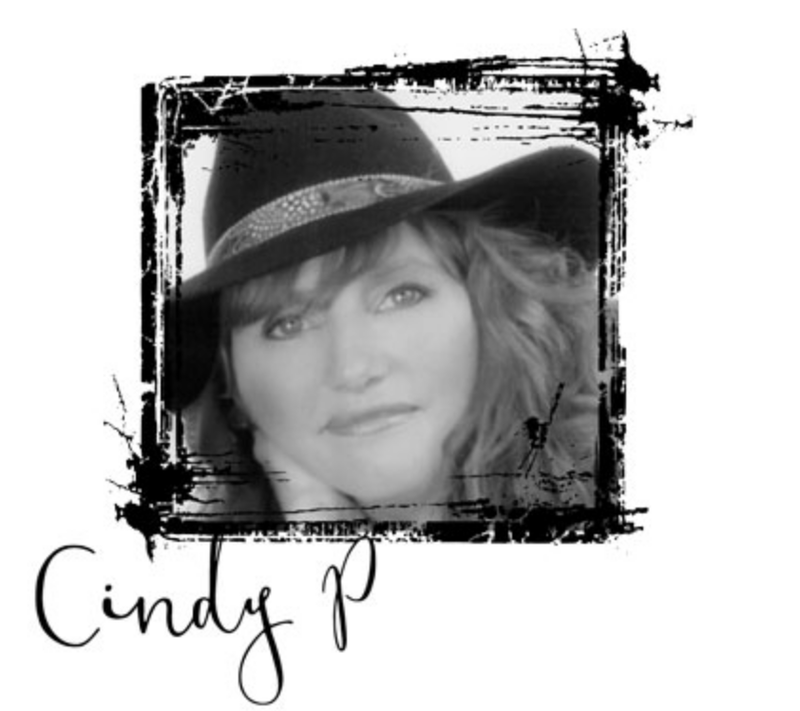 I hope that you will come and join in the fun, and who knows maybe even win yourself a prize. 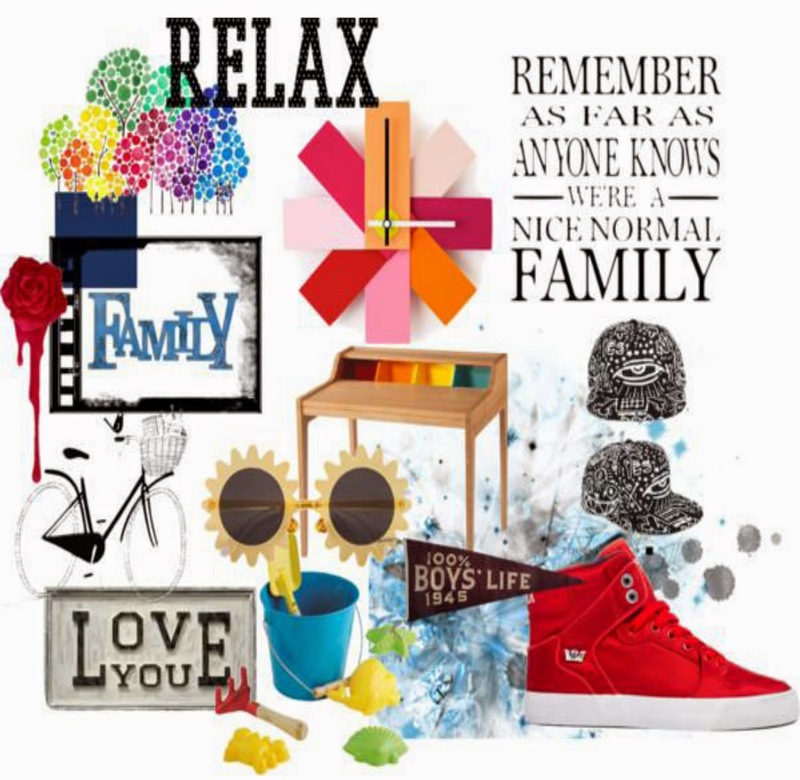 There's plenty here in this mood board to inspire you, so it shouldn't be to hard to come up with some great layouts. Now, here's my take on the challenge, I hope it gives you lots of ideas. 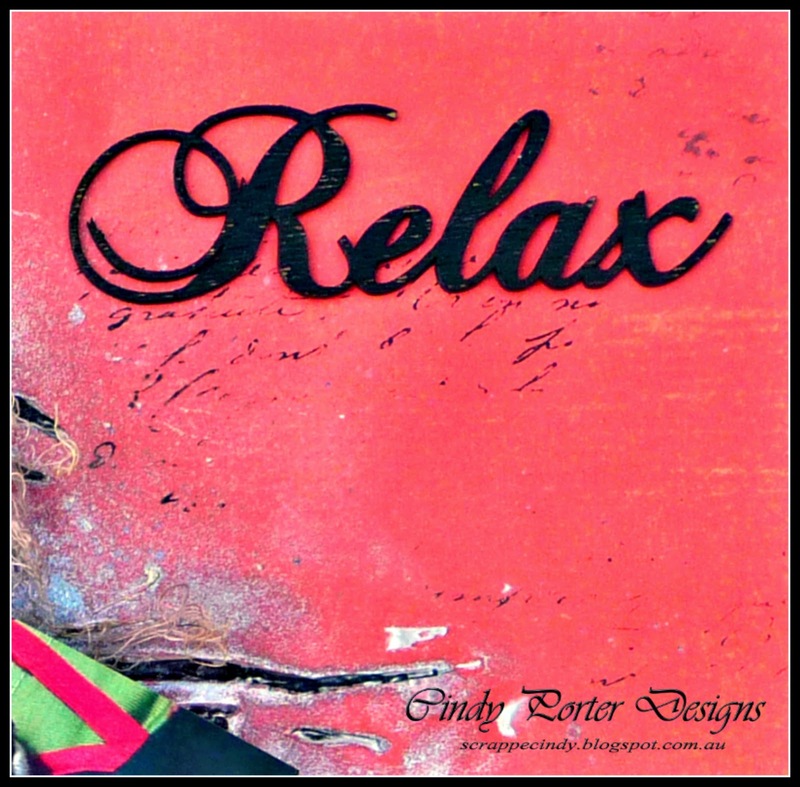 From the mood board I went for the reds and blacks and the word Relax and used these to create my layout... "Relax"
Also in my pack this month this cute little wood word which I painted black to create my title. 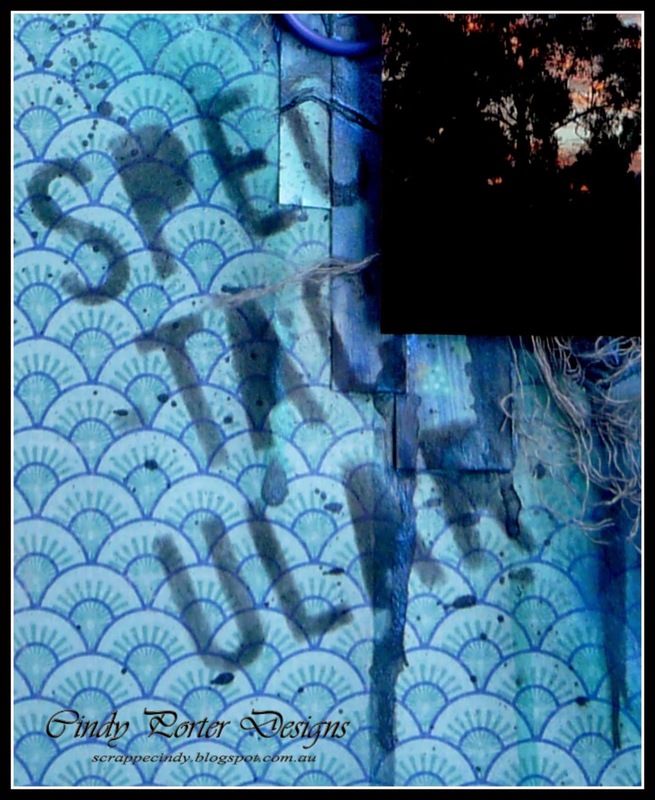 In this pic you can see how I have used the Darkroom Door French Script stamp to randomly stamp my background. Here you can see I embellished the page with some Kaisercraft flowers that I sprayed and layered up and a large Manor House flower which I removed the centre from to use as a base. 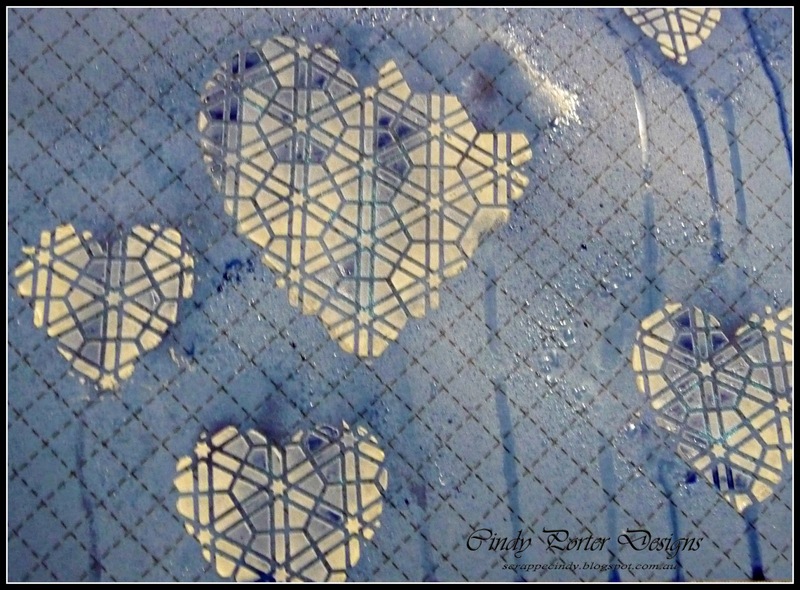 A close up of my stenciling work.... 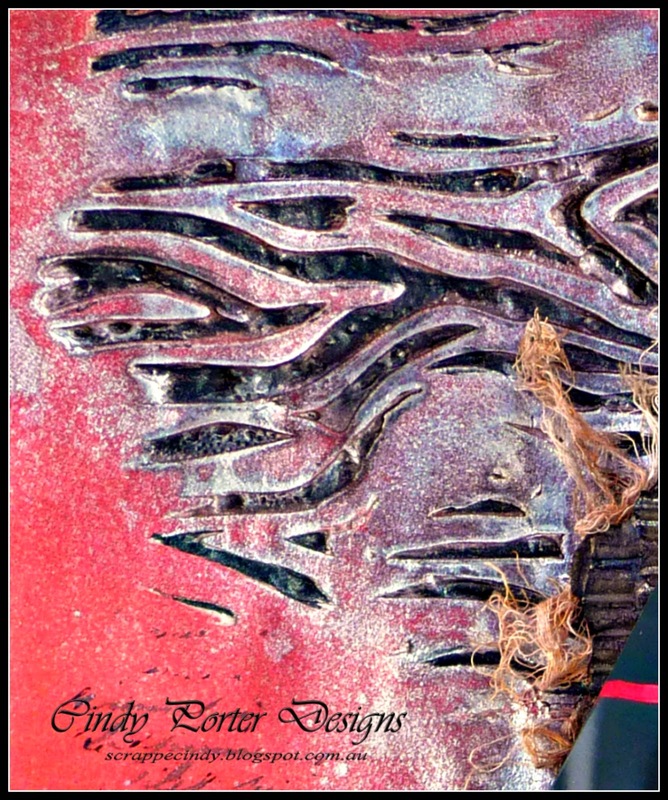 I used the Scrap FX Wood Grain Stencil. Here I used it sideways to imitate Henri's striped legs and face.... I used modeling paste and sprays to imitate Henri's coat colours. 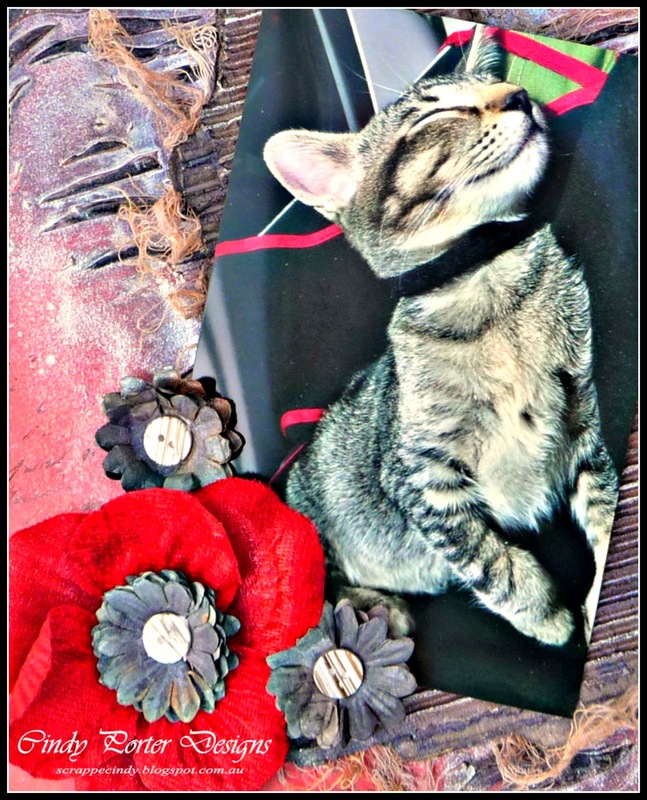 Doesn't Henri look so relaxed and content. 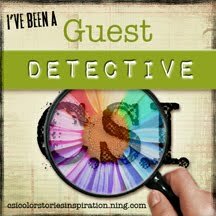 Well I hope you all enjoy this challenge and I can't wait to see all your takes on the mood board. 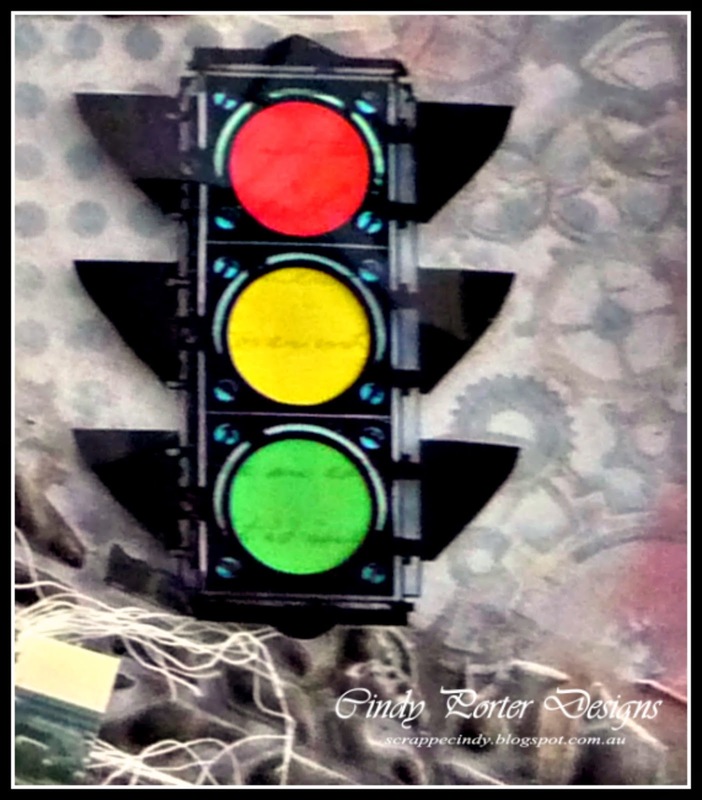 Don't forget that Jo has all these great products at the Scrapbookit Store.